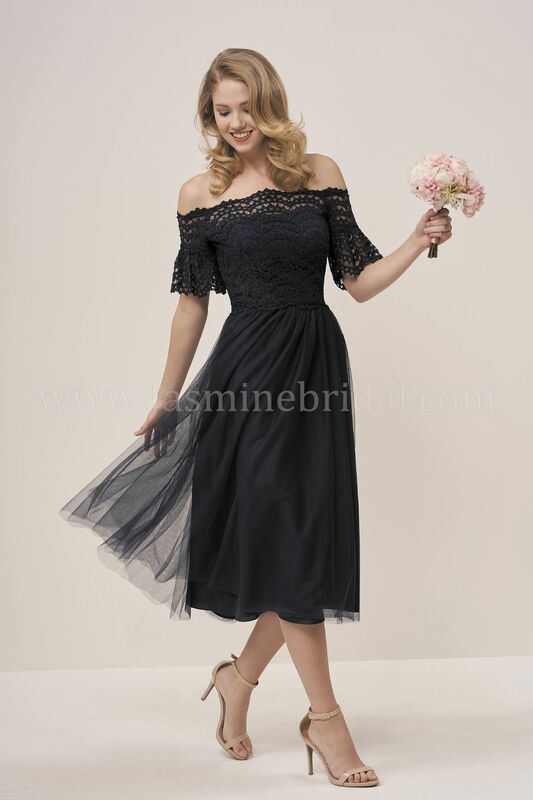 Off-the-shoulder, tea length dress with short, bell sleeves. Gorgeous lace bodice and soft tulle, ruched skirt. Tea length(30"), Available in floor length for P196061.